Despite the cheery faces on the photo collage of this event (click the image for the full collage), the general mood in Munich was sombre and reflective. It has been a long haul since Article 50 was invoked and many of us are incredulous at the lack of progress since then. Special scorn was reserved for those politicians seen as responsible for STILL not providing clarity on vital aspects affecting the lives of UK citizens in Europe, such as healthcare and pensions. Brexit stress test – Are you ready for no deal? Click to get to Top Tips and Links. 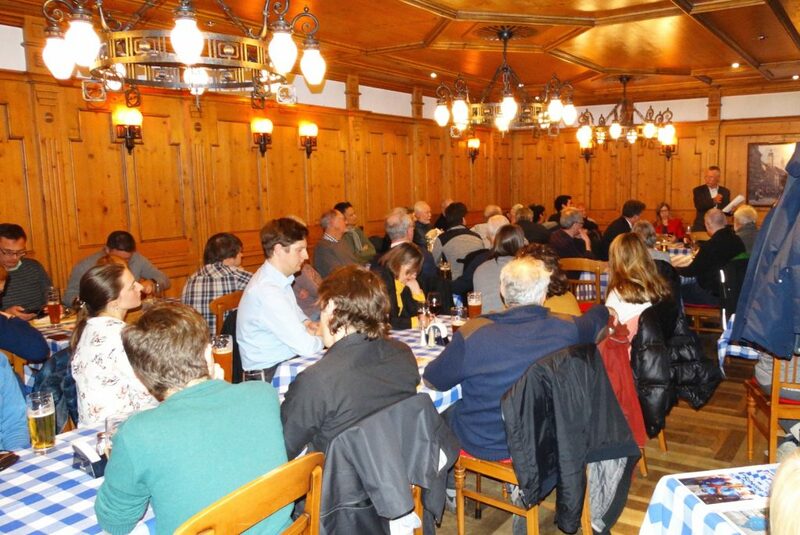 The spectre of no deal – and the threat that this poses to UK nationals in Europe – certainly concentrated minds in Munich on Monday in a city-centre Gaststätte. 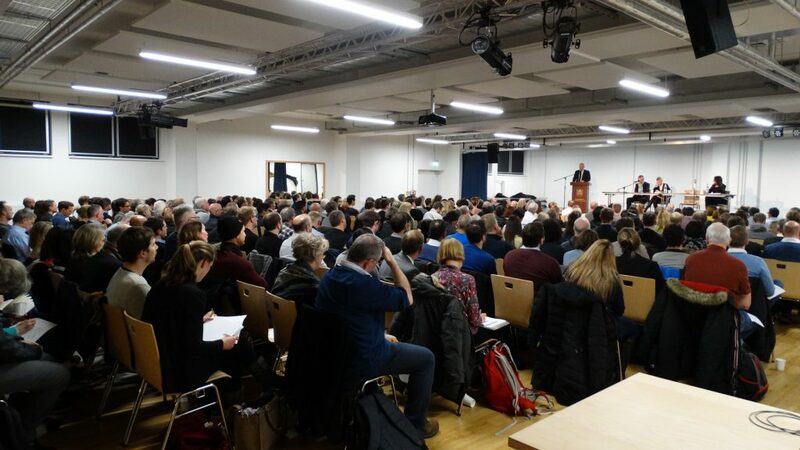 While a good many of the 66 attendees were already well informed about these risks, others were only just beginning to grasp the implications for them. 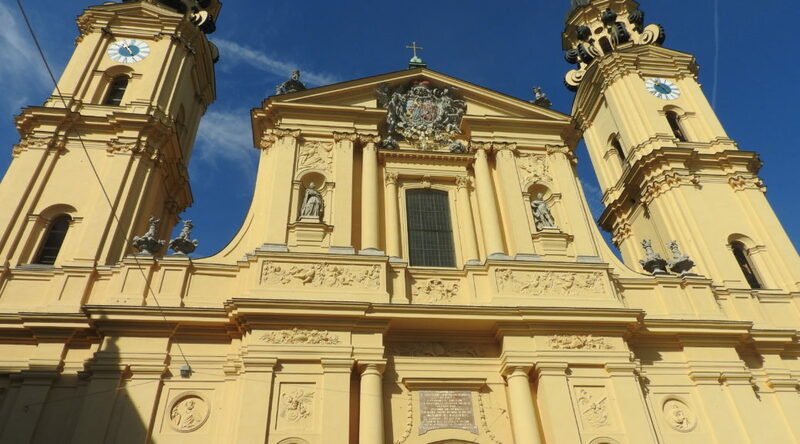 The British in Bavaria team wanted to tell it how it is – based also on the many different contacts with the authorities in Munich and Berlin – so that everyone could re-assess their own situation and take any action that might still be possible. 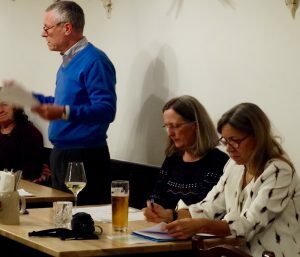 David Hole kicked off with an explanation of what no deal means for Brits in Germany, in particular the “demotion” from EU citizen to the status of a third-country national in the eyes of German immigration law. During a three-month period after March 29 (which could be extended), Brits would continue to have the right to reside and work in Germany, but during that time they would be required to apply for a residence permit (Aufenthaltstitel – sometimes translated as Residence Title). This is the new reality in a no-deal situation. David pointed out that despite emergency legislation drawn up to regulate some areas of life for Brits in Germany post no-deal-Brexit, critical aspects remain unresolved, each of them with severe implications for those affected, e.g. the EHIC and S1 scheme of healthcare provision (see below), and freedom of onward movement (i.e. no automatic right to work in any other EU27 country; Brits are 28th in the line for jobs, after applicants from other EU countries). David re-iterated the strong recommendation that Brits who are eligible for German citizenship should urgently consider this option. EU citizenship would protect their rights. There is now a short window of opportunity (up until 29 March, if there is no deal) for Brits to apply for German citizenship, while having the right to retain their British citizenship. Applications need to be submitted at your local Einbürgerungsamt as soon as possible. Ingrid Taylor followed with a summary of what the Munich City Foreigners´ Office (Ausländerbehörde at the Kreisverwaltungsrat / KVR) plans for registration of Brits in the city in a no-deal scenario. Basically: The KVR will send a letter to each affected resident Brit in the city (not dual citizens) by the end of March, inviting them to make an appointment with the Ausländerbehörde at the KVR to come and talk about their future residence status (see links below). Candidates need to bring with them the completed application form, and at that appointment they would be given a “Fiktionsbescheinigung” or “fictional certificate”. This is a certificate confirming the applicant´s right to live and work in Germany as before until such time as their application for a residence permit is approved. Brits who want to stay must submit an application for residence (and there are at least 6 different kinds of residence permit! – see below) during those three months. That is the current situation. – What if you have to wait a long time for your appointment (over 6,000 Brits live in the city) – and therefore for your Fiktionsbescheinigung? – What about travel, planned or impromptu, during that three-month period? Answers: see below. 1. Register as a resident. If you live in Germany and are not registered as resident, then make sure you do so before March 29th. Contact your local Einwohnermeldeamt. After Brexit (deal or no deal) you will need to have a residence permit (this is separate to the requirement to register your residence mentioned in point 1). The authority responsible for handling your application for a residence permit is your local Ausländerbehörde (foreigners´ office). Find out which office is responsible for you and keep track of the Brexit information on that site. Links for the City of Munich and elsewhere in Germany. As third-country nationals after a no-deal Brexit, UK nationals resident in Germany will need a residence permit. This must be applied for within the three months after a no deal exit (see also points 2 above and 4 below). During those three months all registered resident Brits will be able to continue living and working in Germany as before. Check out the FAQs on right of residence on the website of the Federal Ministry of the Interior (Home Office). There are (at least) six different types of residence permit, each with different conditions and consequences. Read up on what they all are – and which you might be eligible for – on the website of the German Federal Office for Migration and Refugees (BAMF). For the first three months after a no deal Brexit, UK nationals registered as resident anywhere in Germany have a right to continue living and working here legally for – initially – three months, during which time they must apply for a residence title. This period may be extended. Some authorities (e.g. Munich) are planning to issue a “Fiktionsbescheinigung”, or “fictitious” certificate confirming your right to live and work in Germany while your application for a residence title is being processed. In Munich the Fiktionsbescheinigung will be handed to you at your appointment. Other authorities have other procedures. But whether or not your local office issues such a certificate, your right to live and work here for the first three months continues. Take proof of your residence and work status in Germany with you when you travel, in case you need to show them to a border official. These proofs could be: your “Fiktionsbescheinigung”, if you have one; copy of work contract plus current company ID; letter from HR dept. confirming current employment; copies of bills etc. One interesting idea is to get an “erweiterte Meldebescheinigung” (extended certificate of residence) from your local Einwohnermeldeamt. This simple but official document confirms your key details on the date of issue (current and past registered address(es); passport number, DOB, etc.). It costs €5. It is a standard German document used also for other purposes. It is not a residence permit. You can obtain one from your Einwohnermeldeamt. Always check the latest immigration regulations of any country you will be travelling to or through. That includes all EU27 countries. Be prepared to prove to officials when asked that you live and work in Germany. If you are a dual citizen, it could be advisable to take both passports with you when travelling. As things stand at present, after a no-deal Brexit, UK nationals in Germany will no longer be entitled to the benefits of this reciprocal payment system for their medical treatment and medicines. Official information being given to hospitals and doctors in Germany is that these patients will be expected to pay directly for their care from 30 March. If you are affected by this you should talk asap to the healthcare provider (Krankenkasse) with which you are currently registered. The option of joining the state health insurance scheme (gesetzliche Krankenversicherung) is the subject of draft emergency legislation. Private insurance is of course always an option, though likely to be expensive. You must have alternative healthcare arrangements in place by latest three months after a no deal Brexit. Failure to do so would have serious consequences. Note: Most working people are not affected by this – if you are in a company healthcare scheme, or have private or state health insurance already, then the above does not apply to you. the British in Germany no-deal checklist. and an example of campaigning by individuals to ask EU leaders to support ring-fencing. Disclaimer: All this information is given in good faith, but we cannot guarantee that it is complete or accurate. It is correct to the best of our knowledge at this time and given the current situation. All information is subject to change at short notice depending on further developments in London, Brussels and Berlin. It is important for everyone to stay abreast of those developments, in particular via the relevant government information sources. 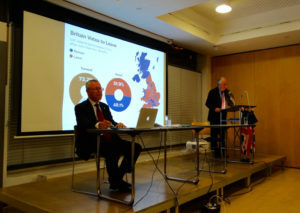 A high-calibre panel fielded questions from 300+ concerned UK Citizens last night in an open evening organised by the Consulate-General in Bavaria and Baden-Württemberg and British in Bavaria/British in Germany e.V. 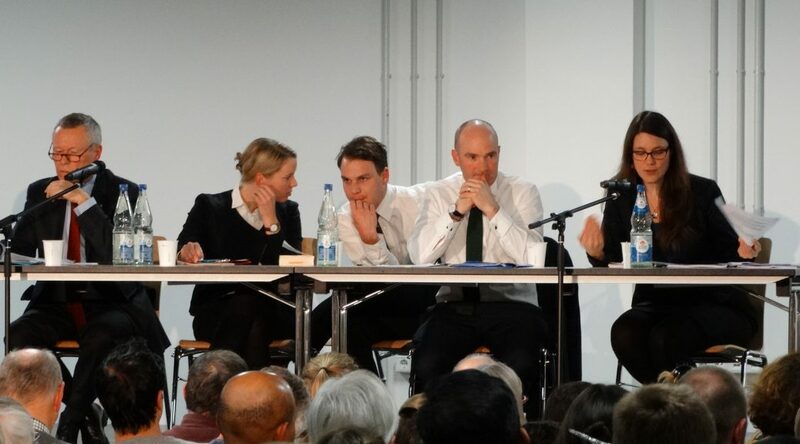 Munich´s Immigration Office was also represented on the panel. This is only the second Immigration Office in Germany (after Berlin) to speak publicly to UK nationals in Germany about their future status in a deal or no deal scenario. Was the audience reassured by what they heard? What were their concerns? BR Fernsehen interviewed attendees and also panellist David Hole of British in Bavaria. Watch that report on BR Fernsehen´s Abendschau Süd programme from 15th January at 17:30. Click the image to go to the BR Mediathek. The interview is the first item in the programme. 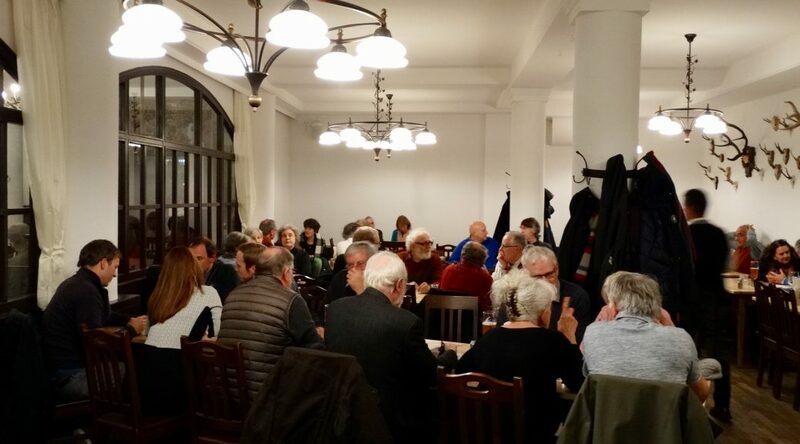 With the threat of a “no deal” looming ever larger, about 50 Brits in Munich gathered on Monday evening, 26 November, for a Stammtisch entitled “End Game – Are you ready?”. A journalist and a photographer from the Süddeutsche Zeitung came along to report on our concerns at this critical point in the Brexit process. Worries centred on residence status post Brexit, loss of onward freedom of movement, healthcare costs, citizenship and family reunion. Comparisons were also drawn with the plight of EU citizens in the UK. 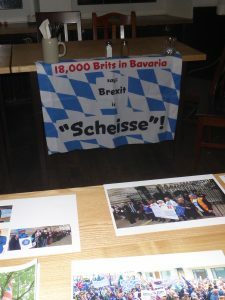 The organising team of British in Bavaria gave updates on the main themes, reporting on recent lobbying activities and urging all Brits to consult the “no deal checklist” on the British in Germany website. Then followed a Q&A session and an exchange of views on what happens next. 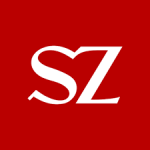 The article from the Süddeutsche Zeitung can be access by clicking on their icon below: The latest British in Bavaria Newsletter is also available and can be downloaded below. 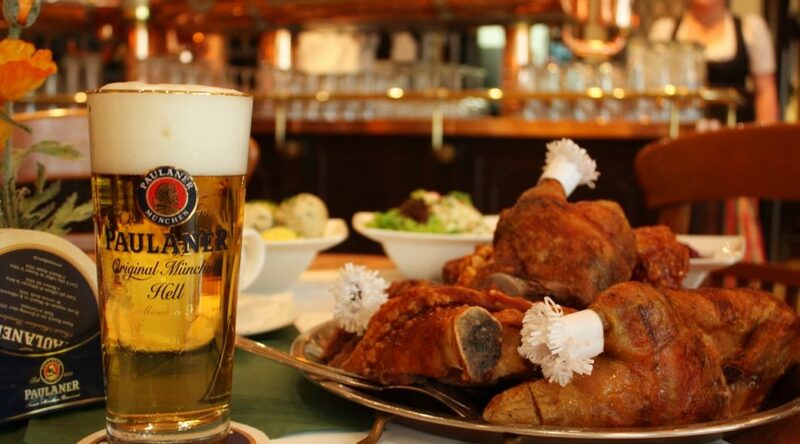 Come along to the British in Bavaria Stammtisch/Get-Together in Munich on Monday, 26 November. 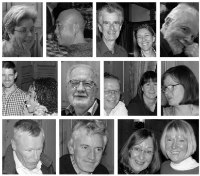 The latest British in Bavaria Newsletter is also available and can be downloaded below. This events also appears in our Events Calendar. 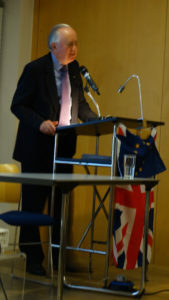 Former UK diplomat Colin Munro treated his audience of 100+ Germans and Brits to a review of how the referendum came about, identifying five major policy miscalculations of the UK government since WW2 as likely root causes, and outlining the deficiencies of the UK´s constitutional and election framework. His recollections and anecdotes of politics and politicians from over four decades of experience in the UK Diplomatic Service were much appreciated by the attendees. Also valuable was his assessment of the many imponderables as we enter the final phase of negotiations – e.g. the prospects for a People´s Vote or a new general election, the extremes of the Conservative and Labour parties, the role of Westminster, the Scottish Parliament and the Northern Irish Assembly, and the Irish border problem. The historical perspective Colin delivered and his expert analysis of recent referenda (Margaret Thatcher: “a device of demagogues and dictators”) provided important context. As did his reminder that the European Union, imperfect as it still may be, has brought immense benefit to the people of Europe in terms of peace and stability. In the Q&As after his talk, Colin was impressed with the quality of the questions from the well informed audience. Colin Munro lives in Vienna. He is the founder of UKCA, UK Citizens in Austria, which organises events to support Brits based in Austria. The text and accompanying slides from his talk is available on the UK Citizens in Austria site.